John, The Void are a band from Italy that plays a mixture of ambient, post metal and doom with a touch of black metal and this is a review of their self released 2014 ep. A dark ambient sound and synths start off the ep and they also bring in a variety of many different sounds along with a small amount of drones on some of the later tracks and after the first track the music goes for a more heavy post doom metal direction while still having ambient sounds in the background and the band also uses a mixture of both clean and heavy parts. Vocals when t hey kick in are all high pitched sludge screams that also have a black metal feeling to them at times and the band also brings in a decent amount of melody into their musical sound and most of the tracks are very long and epic in length and as the recording progresses melodic post metal guitar leads can be heard in certain sections of the recording and the vocals also get deeper along with some growls and the ep closes with an instrumental ambient track. John, The Void create a very interesting sound with their music playing mostly in a post sludge/doom metal but also having a decent amount of ambient elements in their sound along with a slight black metal influence and the band have their own sound, the production sounds very dark and heavy while the lyrics cover dark and philosophical themes. 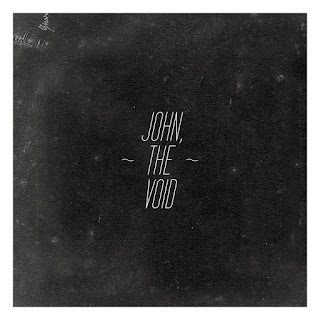 In my opinion John, the Void are a very great sounding mixture of ambient, sludge, doom and post metal and if you are a fan of those musical genres, you should check out this band. RECOMMENDED TRACKS INCLUDE "In Rows" and "Ascension". 8 out of 10.